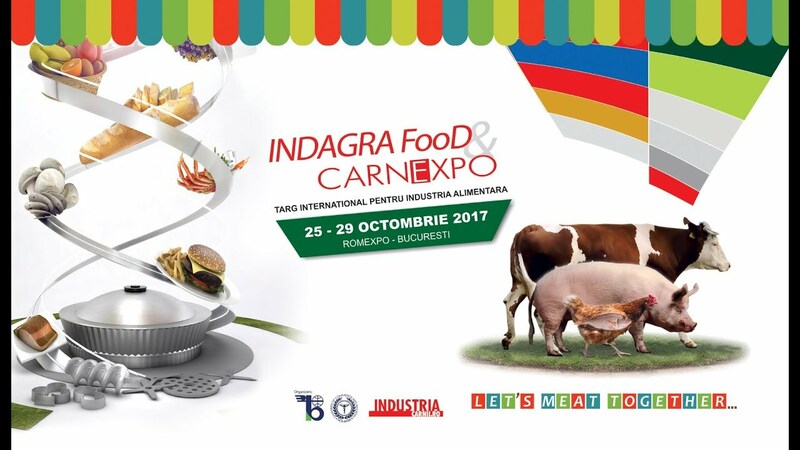 CARNEXPO 2017 is the largest meat and livestock exhibition on South East Europe that is organized between 25-29 OCTOBER 2017 at ROMEXPO Exhibition Center in Bucharest, Romania in cooperation with INDAGRA FOOD. INDAGRA FOOD & CARNEXPO 2017- the largest food industry exhibition in South East Europe have merged into a common event, turning into most important platform for promoting and contracting companies in 2017. The event focuses on encouraging meetings between food industry specialists and suppliers, local authorities and recognized experts in international meat trade. Farmers, producers of food products, suppliers of raw materials, additives, casings, spices, equipment and machinery, distributors of meat from around the world will meet each other in the largest meat exhibition in South East Europe. Copyright © 2019 CarnExpo. All Rights Reserved. Developer NVCC.